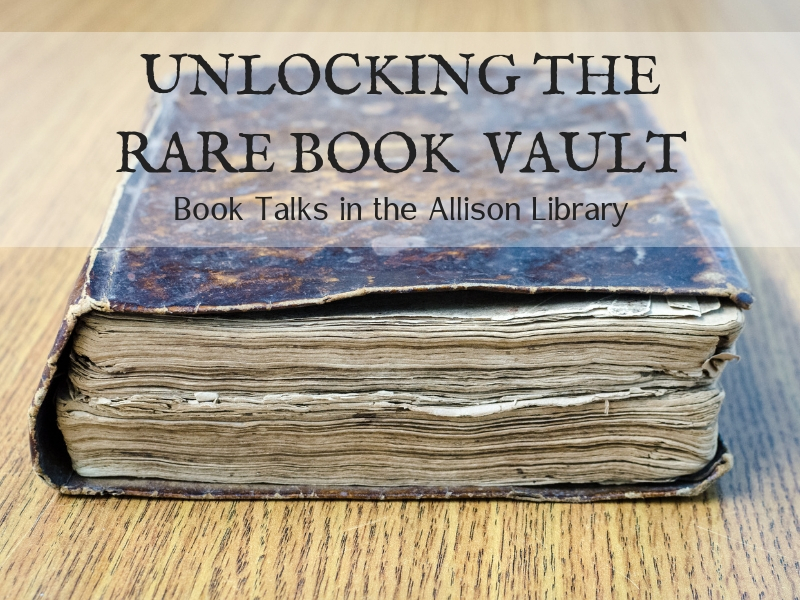 Ever wonder what's in the rare books room in the Allison Library? Discover its historical, spiritual, and theological gems by registering for one of our upcoming book talks on various rare books, including John Bunyan's The Pilgrim's Progress with Dr. J. I. Packer, and John Owen's Eshcol with Jenny-Lyn de Klerk. There will be an opportunity for questions and discussion after each talk. In order to protect our precious books, please do not bring food or drinks into the rare books reading room. Click here to register for Dr. Packer's book talk on The Pilgrim's Progress by John Bunyan on Thursday, October 25th from 12-1pm in the rare books reading room. Since seating is very limited, only those who register will be able to attend.